Leading local festival Strawberries & Creem Festival have announced the line up for their much anticipated 2019 festivities in Cambridge. Stefflon Don, Ms. Dynamite, Sean Kingston, Mahalia, Kevin Lyttle and WSTRN are expected to entertain the thousands of fans who will descend on the festival in June. 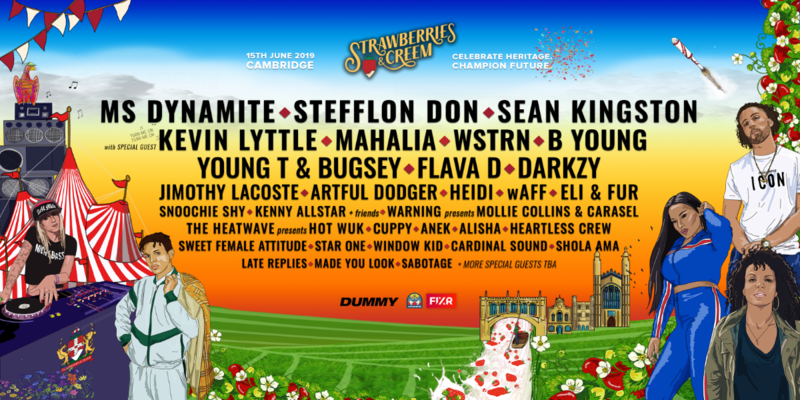 Other UK music artists to grace the stage include B Young, Young T & Bugsey, Flava D, Darkzy, Jimothy Lacoste, Artful Dodger, Heidi, wAFF and many more across three stages stages.